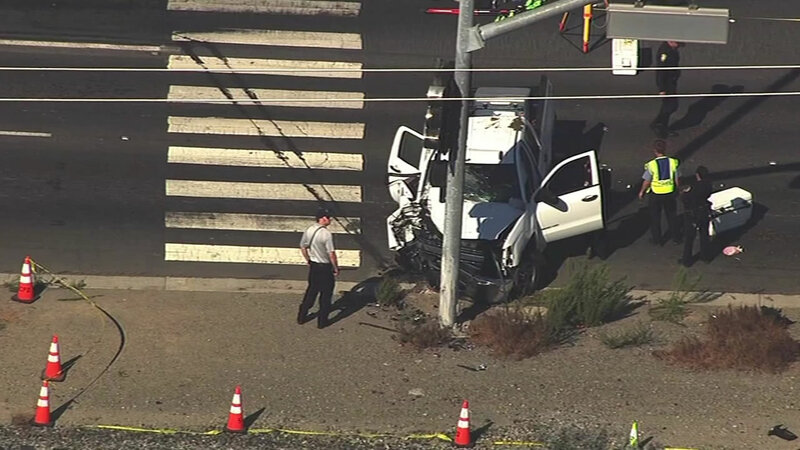 SANTA CLARA, Calif. -- A car crash near a major thoroughfare in Santa Clara killed a 15-year-old girl and injured five other people this afternoon, a police spokesman said. Witnesses reported the vehicle was driving at the speed limit, then for unknown reasons veered off the road and into a traffic signal, Moreno said. Officers responded to the scene and found six people inside the truck, according to Moreno. There were no obvious signs of drugs or alcohol being involved, but police are looking into the circumstances surrounding the crash, the spokesman said. Southbound Lafayette Street is closed at Agnew Road and estimated to remain blocked through the evening commute, Moreno said.